Now this is interesting. 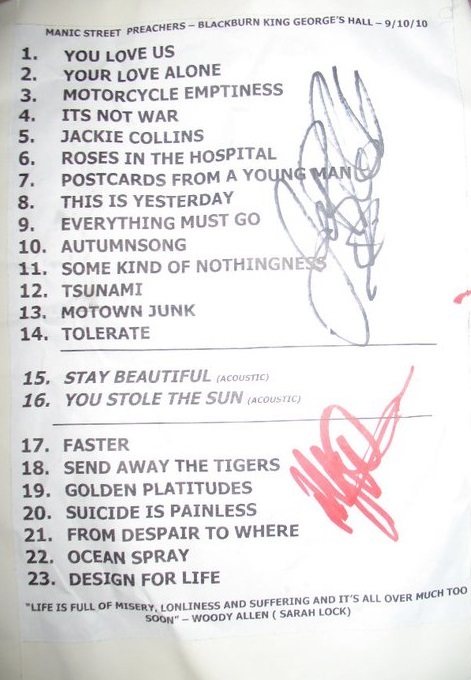 I have 2 setlists from postcards tour, blackburn and leeds and they both have mclaren quote. I'm late but this was a great idea. Nice work everyone. I was wondering if the quotes were being collected anywhere. 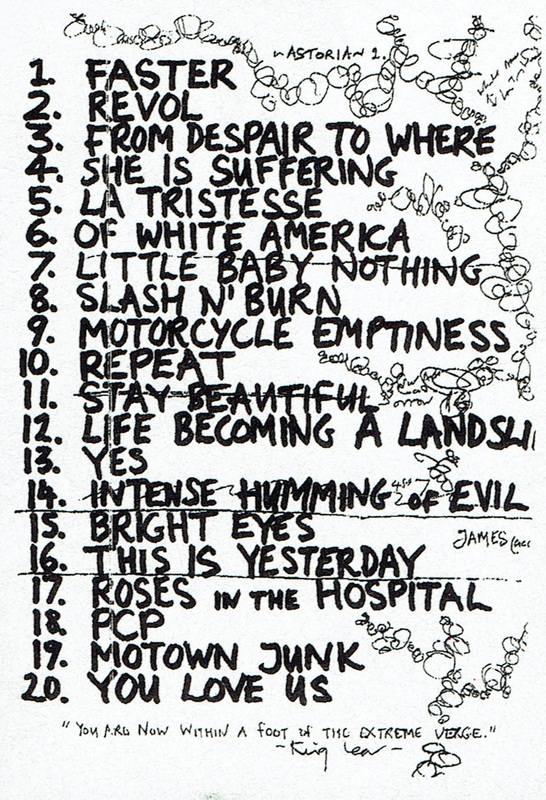 Do you want any scans of a set list you already have a quote for? 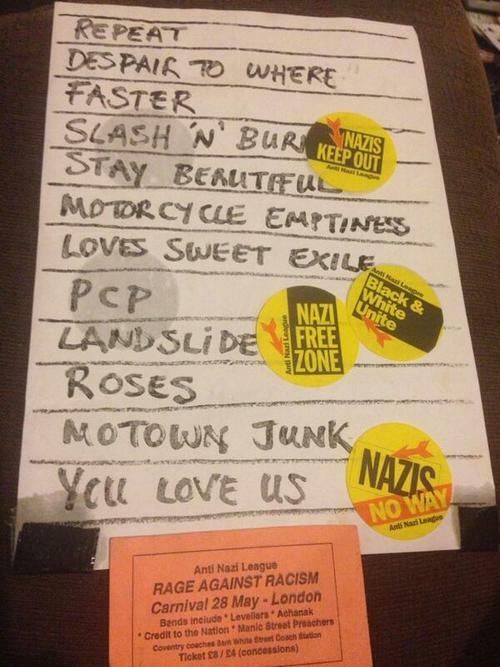 This was probably my favourite MSP gig! Thank you very much! and cheers to everyone else who's sent them, much appreciated. Keep 'em coming! 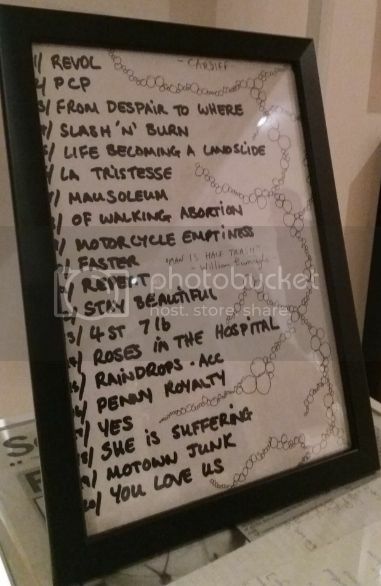 Well this was cool... Cardiff Astoria '94 setlist, recently shown at the pop-up Swn music museum, Cardiff. Image left fairly large so you can see the quote. 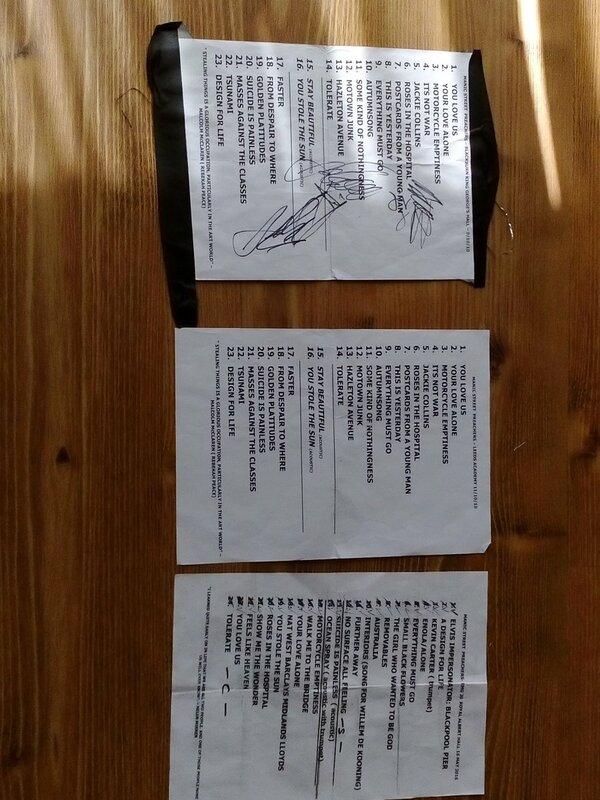 Might have appeared elsewhere, on Twitter etc, a few weeks ago - I've taken a while to get round to uploading it.They also had a whiteboard from James' final solo gig filled with messages and quotes from JDB, his band and John Niven. Might post that as well in a bit.